Much of what we know about models of primary care reform in Ontario dates from the early 2000's when the Primary Health Care Transition Funds were used in Ontario to provide knowledge about models current at that time. Current research suggests that PC models have somewhat different socio-demographic profiles but their geographic distribution and reach in relation to population needs has not been previously examined. Therefore, our studies will address the current issues in primary care reform: attributes of reform; quality of chronic disease care; economic impact; access, integration and equity and disparities. The studies outlined below will make use of secondary data sources housed at the Institute for Clinical Evaluative Sciences (ICES). The project team are all ICES appointed scientists and have access to the data sets at their institutions through local access sites. Data sets that will be utilized will include well established data sets such as OHIP Billing Data, ODB prescribing information, provider information, hospital and ER utilization (DAD and NACRS), census data and the CCHS, as well as newly available and soon to be available data such as Family Health Team specific reporting data, homecare data, the Patient Care Survey and the QUALICOPC survey. Each of the four groups of measures will contain indicators of several chronic conditions, including diabetes, congestive heart failure, chronic obstructive pulmonary disease, and depression from which a composite score will be derived. For this objective, we will use time series analysis to evaluate how PC access has changed between 2003-2013 as reform and quality improvement initiatives were implemented, using the Primary Care Access Survey (PCAS) data (housed at ICES), the upcoming Primary Care Survey (PCS) and data from the QUALICOPC Study to understand Ontarians' experience of access over time. Billing data will be used to assess changes in the pattern of PC use (e.g. after-hours clinics, usual provider continuity) and use of other resources (ER visits, Ambulatory Care Sensitive Admissions, Specialist Visits). Using available data we will explore which PC structures are associated with enhanced access. Potential explanatory factors include PCmodel, participation in Quality Improvement initiatives, use of advanced access scheduling and human resources factors. We will examine primary care structures over time in relation to changes in referrals to homecare, timely receipt of homecare after referral, non-urgent ED visits, ambulatory care sensitive hospital admissions, hospital readmissions within 30 days and follow up in primary care within 7 days after hospital discharge. The structural elements of most interest for integration include the type of governance model, the presence and composition of the inter-professional teams, use of telephone consultation codes, use of specialist sessional fees, and participation in Health Links. What attributes of primary care use and availability are related to health status outcomes across the spectrum of socio-demographic characteristics of Ontarians? Is Ontario's PC aligned with population need? What have been the unintended consequences of the reform strategies for equity? We will consider whether PC is equitable, and responsive and aligned to needs for practice patients and for local communities. Diabetes is a well-known challenge in First Nations populations. Understanding diabetes and the consequences of diabetes is very important to First Nations organizations and communities. In particular, decisions made at health systems and policy levels can impact how well First Nations people and communities can prevent diabetes, manage diabetes, and cope with the long-term complications of diabetes. 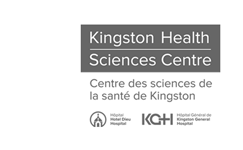 In close partnership with the Chiefs of Ontario, this study is designed to examine the health care experiences of First Nations people with diabetes in Ontario. We will describe in detail changes in the rates of diabetes and its complications over the past 20 years, how access to healthcare for First Nations people compares to other Ontarians, and how particular policies have impacted either health outcomes or access to care for First Nations people with diabetes. By working closely with patients and key stakeholders from federal, provincial and First Nations organizations, we will identify and evaluate key policy changes that are important and where data is needed to improve decision making. In Canada, significant disparities between the health status of Indigenous peoples and the general population exist, particularly for chronic diseases such as diabetes. There is a pressing need to shift the present episodic care focus common to most First Nations communities, to one that integrates prevention and management of chronic disease care. 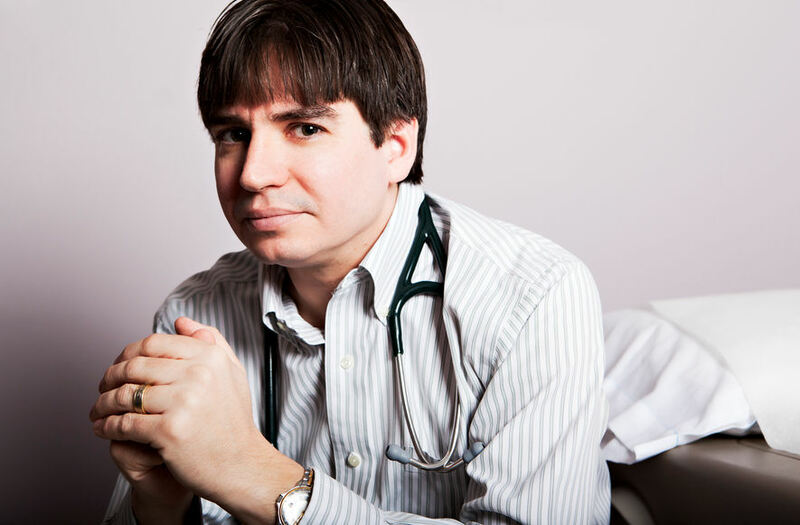 The overarching goal of the TransFORmation of IndiGEnous PrimAry HEAlthcare Delivery (FORGE AHEAD) research program is to develop and evaluate community-driven primary healthcare delivery models that enhance chronic disease management with appropriate access to available services in First Nations communities. The program will use a participatory research approach that honors and reflects the communities' involvement as full partners. Type 2 diabetes mellitus will be the chronic disease targeted. The activities in FORGE AHEAD are linked to the Expanded Chronic Care Model which describes the inter-relationships of individual, community, population and health system factors in chronic disease prevention and care. The projects within FORGE AHEAD include measuring community and healthcare provider readiness to change, supporting and integrating prevention activities within the community, developing community capacity for quality improvement activities and evaluating community-driven strategies to improve the quality of diabetes care. The program will produce a tool-kit of tested strategies that can be successfully implemented, sustained and used for other chronic diseases in First Nations communities in Canada. The Actionable Nuggets project parcels the most current research on the needs of patients with spinal cord injuries in short focused care guidelines that family physicians can use immediately to provide better care for this unique patient population. The care guidelines are sent weekly for 20 weeks in the form of attractively designed postcards that include a care guideline, a statement about the key problem encountered and the evidence for why the recommendation was made, a reference for at least one key journal article supporting the best practice, and a web address where participants can find out more about the evidence cited. Each Nugget is mailed to participants in both electronic and hard copy form so they can be placed in patient files, posted in a location where they might be easily visible, or included in electronic medical records. At the end of the study this research methodology will be evaluated for its effectiveness in translating knowledge to busy primary care physicians, and possibilities for other specialty patient populations will be considered. This phase of the study includes physician populations in Ontario, Newfoundland, and Australia. 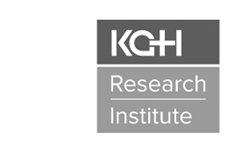 Study investigators from CHSPR include: Dr. Mary Ann McColl, Dr. Alice Aiken, and Dr. Michael Green in collaboration with other investigators from Faculties of Medicine at Queen`s University, Memorial University of Newfoundland, and the University of New South Wales, Australia. This innovative knowledge transfer product was picked up by the Canadian Medical Association for publication on itsKnowledge for Practice website and distribution to all physicians in Canada. The Canadian Disability Policy Alliance (CDPA) is a national collaboration of 14 researchers in disability studies from 4 Canadian Universities, 5 disability advocacy associations, and consultants from federal and provincial governments. Over the last 4 years, the Alliance has conducted 27 research projects aimed evaluating and improving disability policy in Canada. Over the coming year, these research findings will be released to individuals and organizations involved with disability issues. We hope this information helps achieve meaningful change for people with disabilities in Canada. 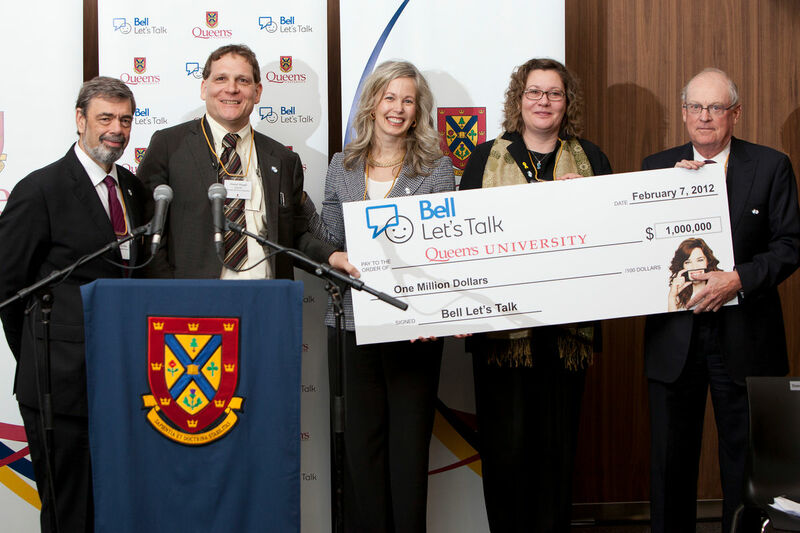 On January 24, 2017, Bell Let's Talk announced a $1 million gift to Queen’s to renew the Bell Canada Mental Health and Anti-Stigma Research Chair; Dr. Heather Stuart has been reappointed to the position for another five-year term. 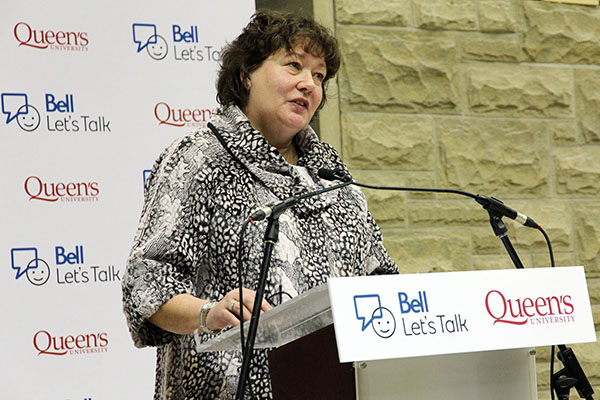 “I am extremely grateful for the support of Bell Let’s Talk and Queen’s and I look forward to continuing my work with partner organizations to develop and evaluate mental health best practices,” Dr. Stuart says. As chair, Dr. Stuart will continue her multi-disciplinary work developing and disseminating best practices in stigma reduction, expand her applied research collaborations around the world and raise awareness about the significance of mental health and mental health research. The School of Rehabilitation Therapy's Dr. Terry Krupa and CHSPR researchers Drs. Heather Stuart and Shu-Ping Chen are to receive $1.7 million in funding for men's mental health issues from the Movember Foundation. The Caring Campus: An Intervention Project, will look into excessive drinking and substance abuse amont first-year male university students. 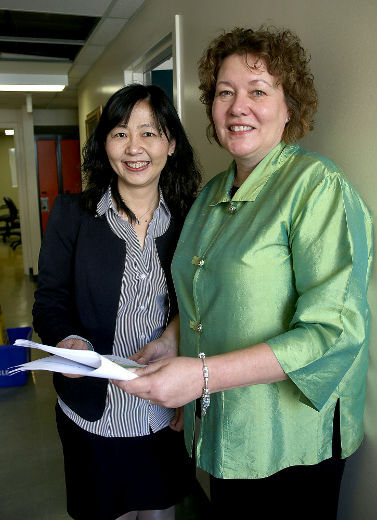 Researchers at Dalhousie University and the University of Calgary will also be involved in the three-year study. The Caring Campus: An Intervention Project aims to use a multi-level intervention to reduce misuse of drugs and alcohol in male university students in order to improve their mental health. This project has the potential to reach all Canadian male University students. Dr. Heather Stuart is a Senior Consultant for the Mental Health Commission of Canada (MHCC) Opening Minds Anti-Stigma Initiative. "Opening minds is the largest systematic effort in Canadian history focused on reducing stigma related to mental illness. Established by the MHCC in 2009, it seeks to change Canadians’ behaviours and attitudes toward people living with mental illness to ensure they are treated fairly and as full citizens with opportunities to contribute to society like anyone else." For more information, please visit the Mental Health Commission of Canada's website. Queen's University appointed Dr. Michael Green holder of the Clinical Teachers' Association of Queen's Chair in Applied Health Economics/Health Policy as of November 1st, 2014. The role of Clinical Teachers’ Association of Queen’s University (CTAQ) is to advance and promote, in the broadest sense, the welfare of teaching clinicians in hospitals associated with Queen’s University. Applied health economics and policy will inform transformational change in Canada and the establishment of this Chair will facilitate Queen’s taking a leadership role in the area of applied health economics and policy. The Chair will bring focus and attention to a broad range of issues in this area. The Chair’s academic work will help inform strategic directions for academic physicians in general, and the Southeastern Ontario Academic Medical Association (SEAMO) in particular. Queen’s University provides a rich environment for the academic understanding of applied health economics and policy. In addition to the involvement of the School of Medicine through SEAMO, the Institute of Clinical Evaluative Sciences (ICES Queen’s) and the Centre for Health Services and Policy Research (CHSPR), there is a rich pool of resources and natural avenues for collaboration at Queen’s that draw in expertise from across the campus. The Chair in Applied Health Economics and Policy in the Faculty of Health Sciences will significantly accelerate efforts in this area and serve to unify these various groups. Dr. Linda Lévesque is leading CIHR-funded study on the impact of the HPV vaccine on adolescent health outcomes. 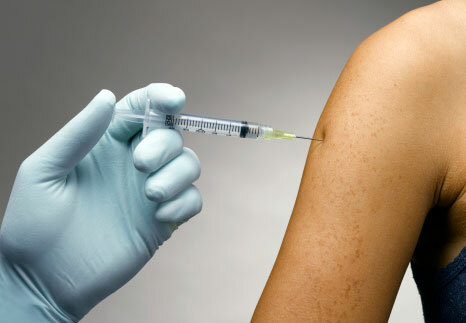 Although the programs have been offered free-of-charge to all Grade 8 girls since 2007, there continues to be controversy about the real-world effects of the vaccine on this young population. Dr. Levesque’s study aims to address critical questions to help young girls and their parents make more informed decisions about HPV vaccination. Dr. Ana Johnson is leading a prospective observational cohort study of patients presenting warfarin or NOAC-related bleeds at four tertiary referral entres in Ontario between 2010 and 2015, using electronic medical records, hospital blood bank registries and linked administrative databases. The study’s uniqueness lies in its outcomes – while there are many studies looking at factors that predispose individuals to risk of anticoagulation associated bleeding, few have evaluated predictors of outcome once patients are presented at hospital with a bleed. 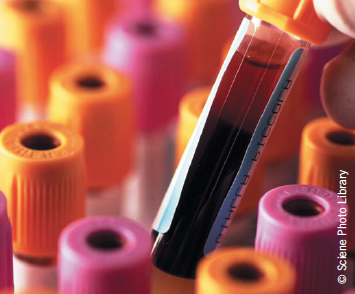 There is a dearth of resource utilisation and cost information related to treatment of anticoagulant-associated bleeding in the real-world setting, though expensive blood products are advocated for treatment of these haemorrhages.